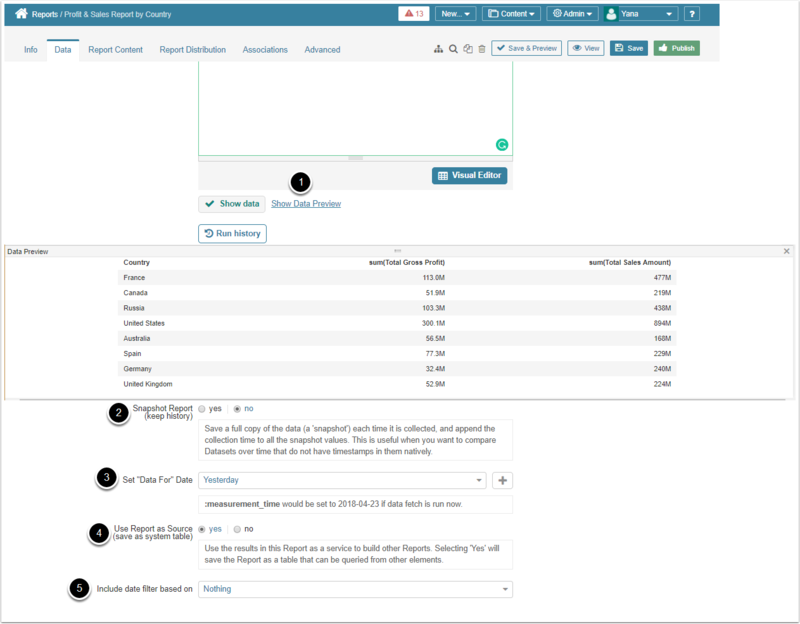 NOTE: The format of the Report Editor is slightly different in earlier Versions. NOTE: the Folder field is currently only visible on the new element pop-up. All changes to Folder in which this element appears have to be made from the Folder editor. 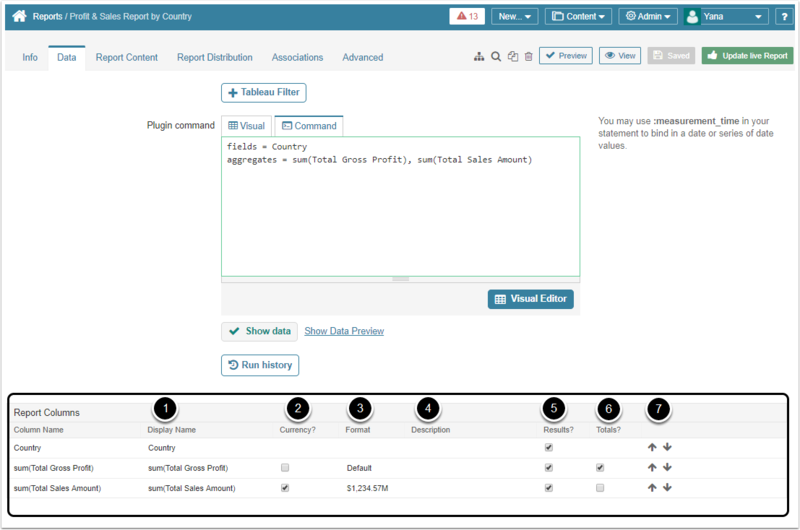 Click [Show Data Preview] to open a preview of the selected data. Set the date-time value to be used as the effective date value for the report. 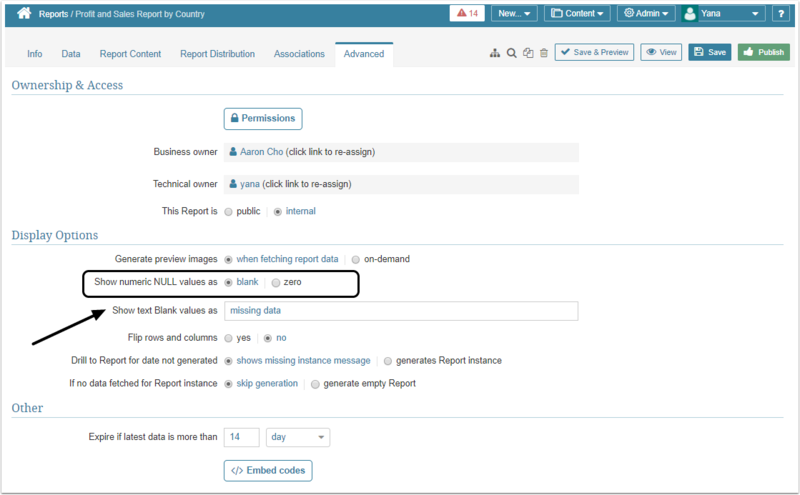 This value is only applicable to Reports with saved historical instances. New Time Command values may be added from the drop-down list as needed. If you want the complete result set shown in the report (without pivoting the data), set Save as system table to 'Yes'. If a charting interval drop-down is to be included in your report ('Last 6 Months', 'Last Year', etc...), identify the date column that is to be used to drive this control in Include date filter based on from the available choices in the drop-down. 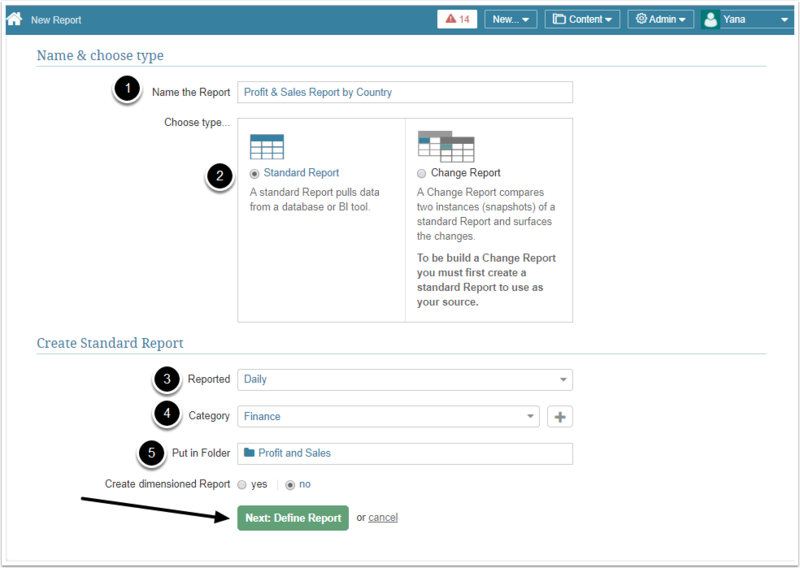 Once you confirm that the Sample result set contains the expected data, Save the Report. If you want to pivot your data for display or charting, click the [+ Pivot] button and follow the instructions that apply. 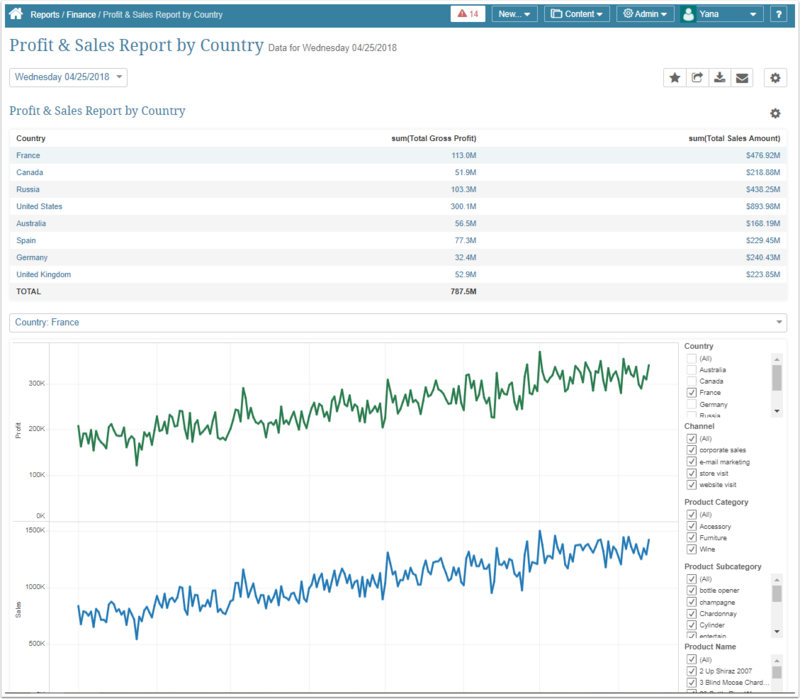 To chart the data that you have collected, click the [+ Chart] button. 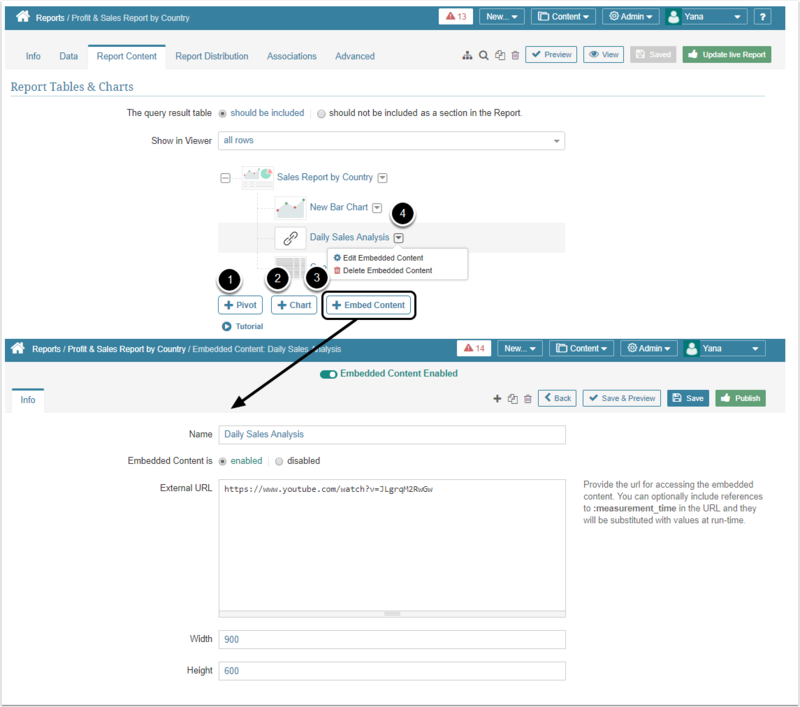 To include external content in Report, use [+ Embed Content] button. 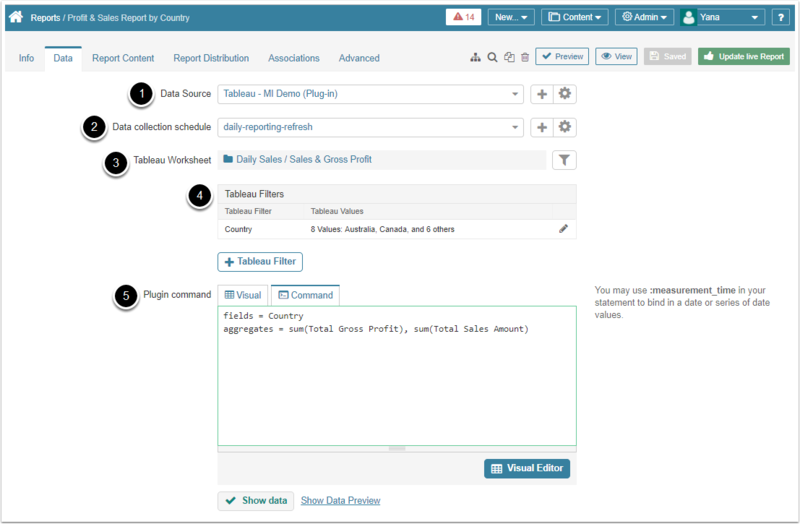 To edit or delete Pivot tables, Charts and Embedded Content, choose the corresponding option from the dropdown. 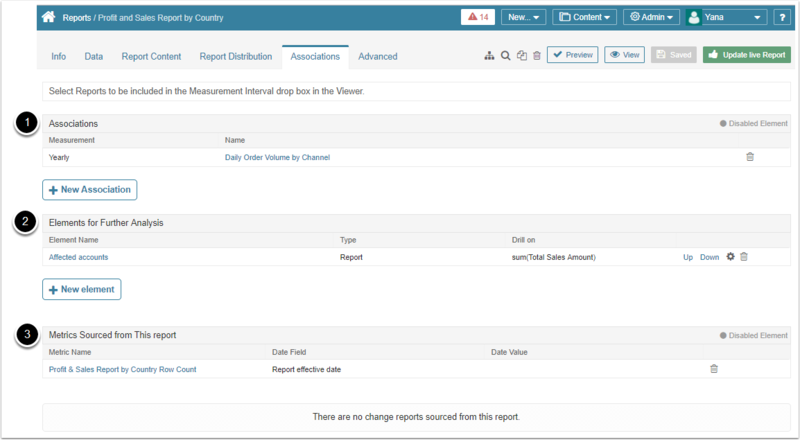 Specify the name of the external Report that will be used for Visualization. 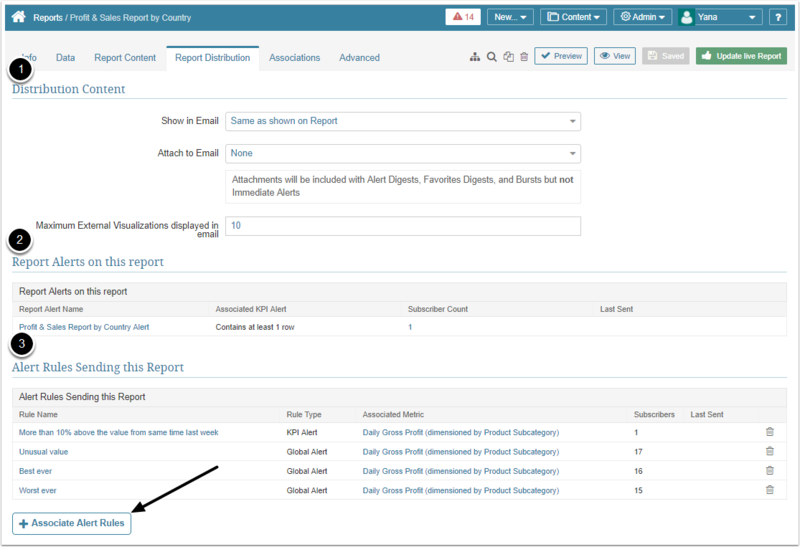 Choose which Report columns are to be mapped to external Filters. 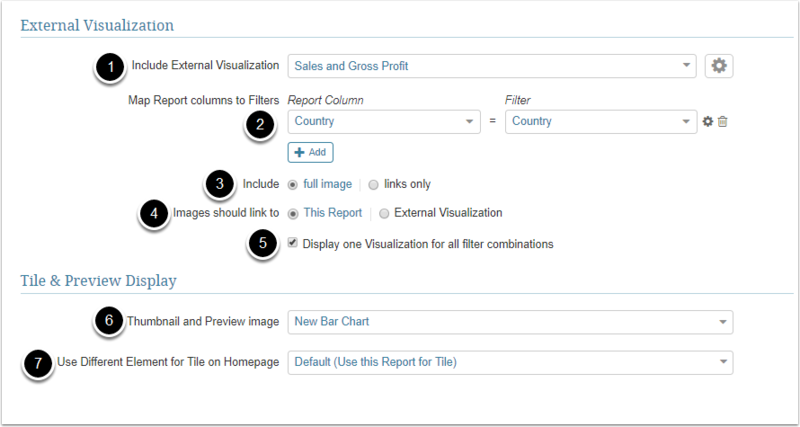 At least one Report column and one Filter must be selected to filter the Visualization. Select "full image" or "links only" display for you visualization. Indicate if your Images should link to This Report or External Visualization. [Optional] Check if you want only one Visualization to be displayed for all Filter combinations. By clicking the Edit (Gear) icon, you can specify how you want the system to handle Total Values. 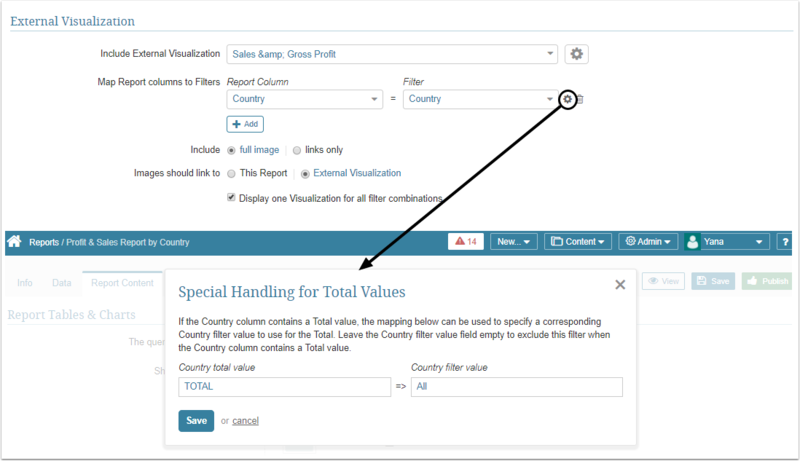 If the column in your Report contains a Total value, you can map it to an equivalent external Filter Value. [5.2.1] Display options now allow Users to specify map column-level overrides for blank values. This new Setting is used to to define how blank values in the Stats model are displayed in a report.